Lately I have been receiving tons of home decor mailers and magazines. A lot of the magazines are showing more earthy/natural decor, which i’m loving! 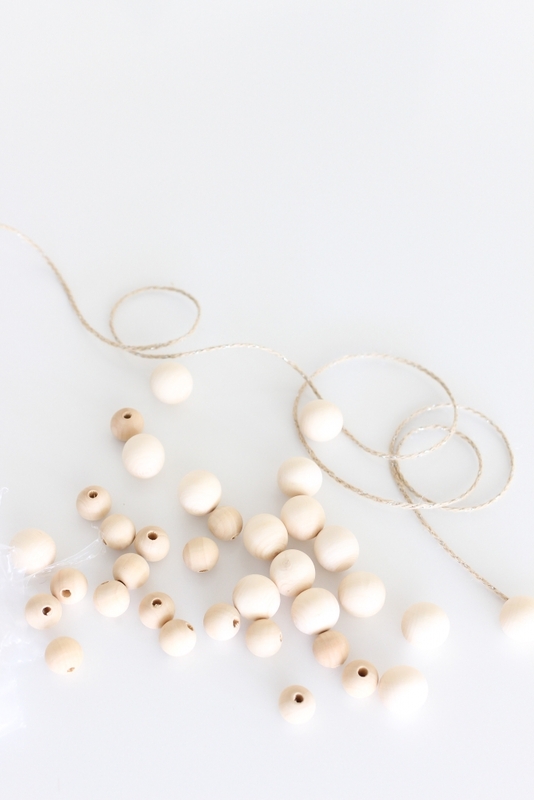 There is one item in particular that I can’t seem to take my eye off… wooden bead garlands! Honestly it’s crazy how one strand of beads makes a home look so much more chic and whimsy. Today I’m sharing with you a few ways to style them as well as how to make your own! in your home. The fist way to style them is with adding them around a vase. 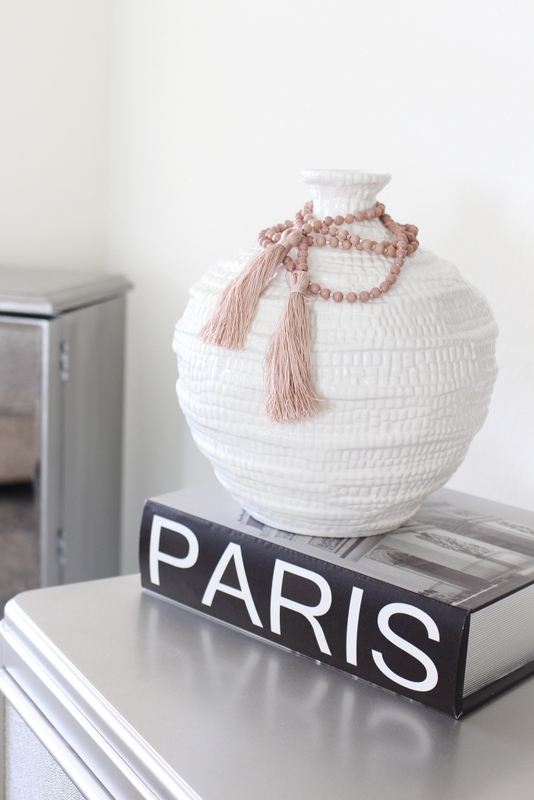 This pink version is actually a necklace ( see how I styled it here ) but I add them to this vase when I’m not wearing them and I really like how it elevates the darling white vase. Plus the tassels are just too gorgeous! Another way to decorate using these wooden beads is by jazzing up your curtains. I usually just let my curtains as is but when I pull them to the side I thought that they could use a little something. Since I ended up making a few of these I had two to spare to wrap around my curtains. With curtains that are striped it gives me some nautical vibes, perfect for summer. I saved the best for last! Everyone probably has at least a few coffee table books that they like to display already so why not add another element that goes along with the books and the candle and the other pretty decor! 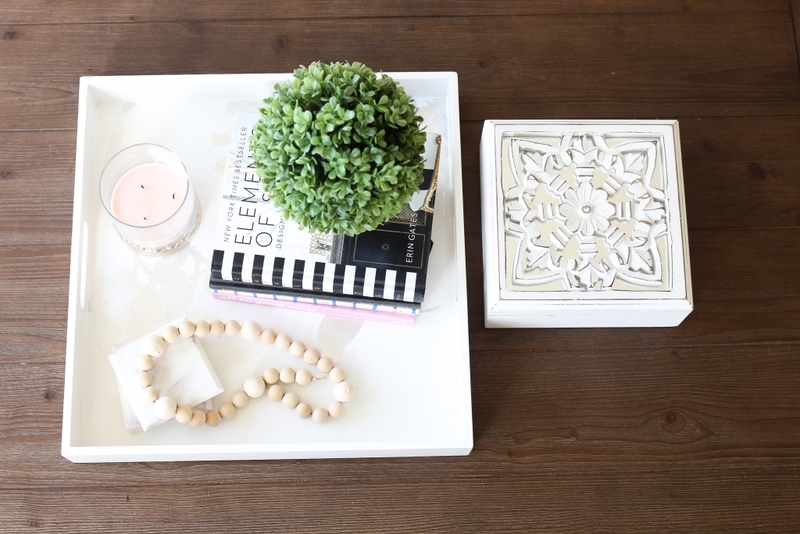 I’m not sure about you but I love switching things around on my coffee table and when I added these to the mix it was like the missing piece to the puzzle. This is such a cute idea! And it looks so simple.